This book discusses the fundamental advances of how the circadian clock regulates critical biological functions as well as the cellular and molecular mechanisms controlling circadian rhythm in living organisms. It also provides new insights into and sheds new light on the current research trends and future research directions related to circadian rhythm. 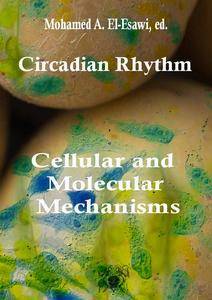 This book provokes interest in many readers, researchers and scientists, who can find this information useful for the advancement of their research works towards a better understanding of circadian rhythm regulatory mechanisms. Circadian clocks are endogenous and temperature-compensating timekeepers that provide temporal organization of biological processes in living organisms. Circadian rhythms allow living organisms to adapt to the daily light cycles associated with Earth's rotation and to anticipate and prepare for precise and regular environmental changes.